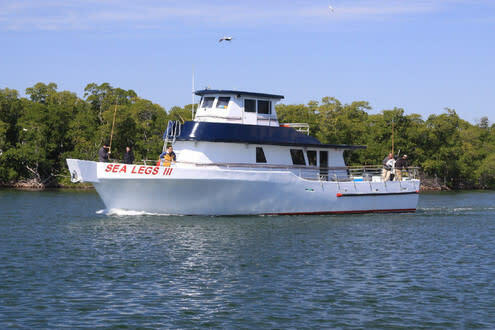 Super Sea Legs has been family owned and operated since 1969. Deep Sea Fishing, drift fishing is in their blood. As third generation drift boat and sport fishing captains, they know the South Florida oceans like no other Sport Fishing or party boat captain in South Florida. Their 75ft boat is kid-friendly and fits 40 passengers comfortably. You don't need any experience, they have mates & captains that will be glad to help you out. •Purchase a meal ticket for $10.00 at the time of your trip.